Ancestry.com announced that the work done by their science team has been published in Nature Communications. 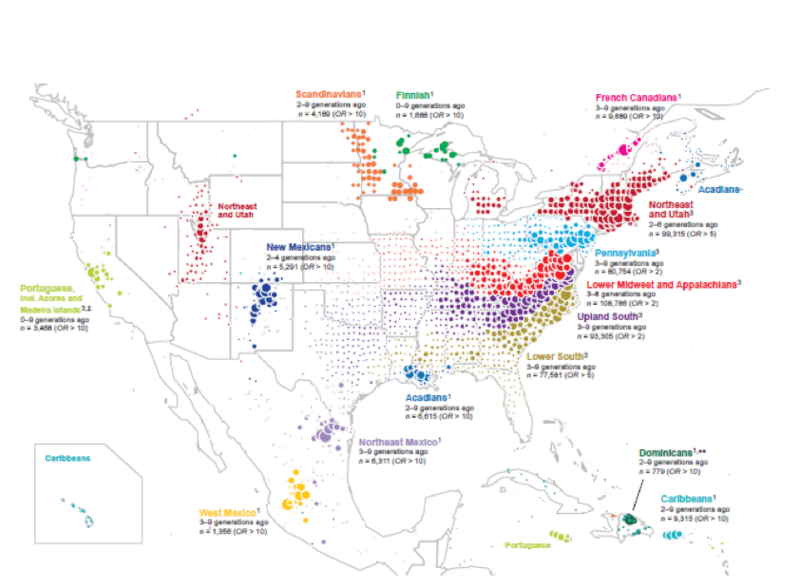 770,000 saliva samples, taken from AncestryDNA customers over the past five years, have been used to create a map of post-colonial America. The scientists combined information from the genomes found in 770,000 saliva samples with information in a database of over 20 million genealogical records. The saliva samples came from people of U.S. origin. Ancestry.com explained what this research means for you. 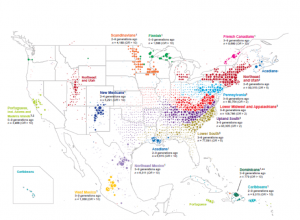 The research identified clusters, or genetic communities, of individuals. It also revealed the history of those individuals, including where their ancestors may have lived, where they migrated to and from, what their last names were (and more). Ancestry.com says this means they can identify the genetic communities that an AncestryDNA customer belongs to.